everywhere turmoil occurs and everywhere the sky is a deeper trouble. 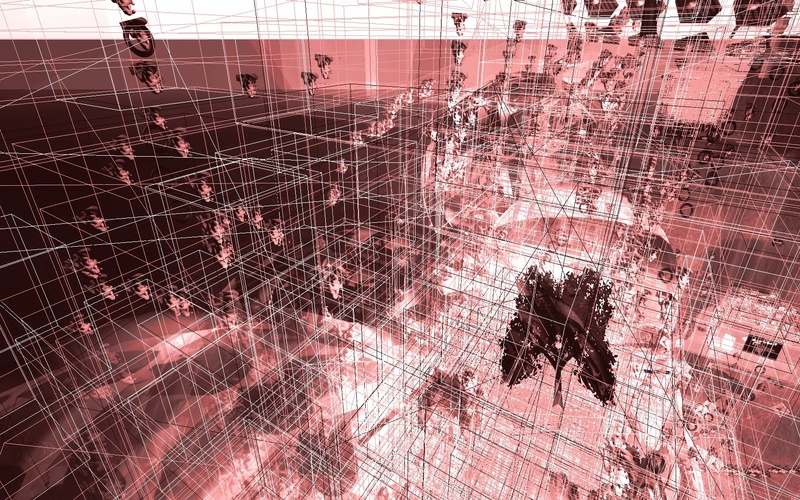 transformed into the commonplace of video texturing, virtual worlds! the weak evanescence of code, the languor of clouds and rainbows. of DVDs more than two miles high. particle-physics laboratory where the collider is located. make them available for physicists on every continent except Antarctica. and laboratories around the world who are participating in the experiment. to 11 major limbs called Tier 1 facilities. of researchers involved in the collider project. smaller branches called Tier 2 centers. professor of physics there and the center's coordinator. resources, we can use them more efficiently." using computing grids, as are companies like IBM and Hewlett Packard. But the LHC Grid will be the biggest test of this strategy yet, says Mr.
Grey. "It's really putting the grid into practice." building completed, tottering, holding fast. probably the highest construction in Second Life but who knows? these things last a very short time. bird-flight in general. And they're back. Whatever we do, rots from within.